This paper takes as its point of departure the trajectories and themes of my Masters thesis and my Phd research-project that include the aesthetics of walking, cultural mapping, GPS systems and performative photography. My thesis, Between The Dreamtime and the GPS/ The Metaphysics of Indigenous Mapping, focuses on the creation and presentation of an Indigenous mapping archive and its relationship to cultural continuity and survivance. It is being conceived as a mobile contact zone (building on Mary Louise Pratts and James Clifford’s notion of the museum as a contact zone) to serve as a place for common engagement between Indigenous, settler and immigrant Canadians on the issues of why and how land matters. How does the experience of learning in specific places differ from the imagined geographies of those places? Are we honoring our obligations to place and to all of creation, the human and other than human? Designed as a traveling archive of Indigenous mapping and embodying a cosmology of Indigenous ways of knowing, it will function as an interactive environmental installation. The form of my PhD thesis is an exploration of the connection between theory and praxis that is central to the rise of exciting innovative paradigms of research-creation now appearing within the academy. With this archive-thesis I am putting forward Indigenous forms and methodologies that do not separate making and meaning and that are specifically designed to stimulate an engaged discourse on the union of ideas as embedded in things, and in lived theory, theory as it is lived and practiced in the real world. Mimi Gellman is an Anishinaabe-Ashkenazi Métis (Ojibway-Jewish Métis) conceptual artist, educator and an Associate Professor in the Faculty of Culture and Community at Emily Carr University. 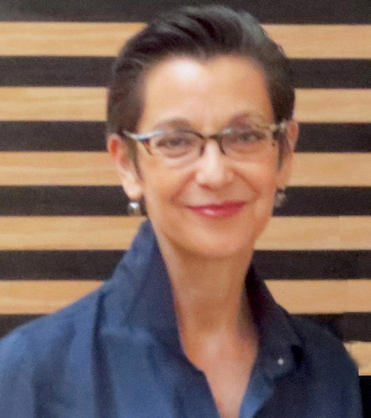 A practicing, multi-disciplinary visual artist and curator, Gellman has an impressive list of accomplishments: from creating half-million dollar public art projects for the Rogers Centre and the Toronto Transit Commission to the building of large-scale architectural glass installations for sacred places (churches, synagogues, and mosques). Her work has been shown in numerous exhibitions in Canada and abroad, with highlights at the Museum of Modern Art in Passau, Germany, the Centre du Vitrail in France, the Canadian Embassy in Tokyo, Japan, and most recently at the MoMa in New York, where her performative photographs were included in the seminal historical exhibition, On Line: Drawing Through the Twentieth Century. Gellman is a member of the Aboriginal Curatorial Collective.